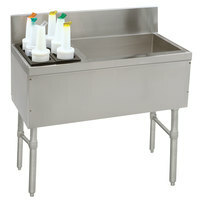 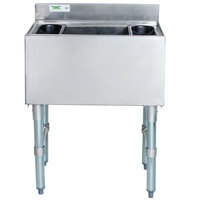 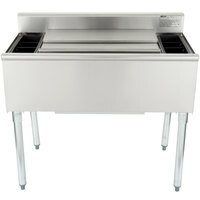 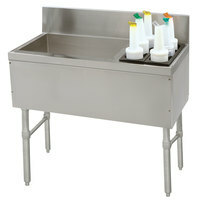 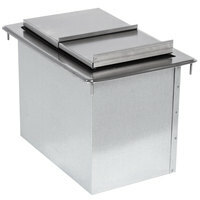 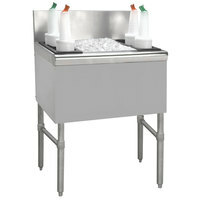 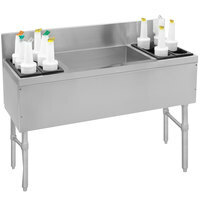 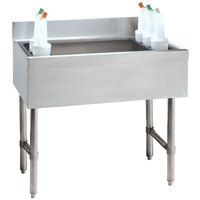 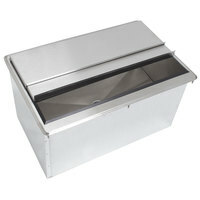 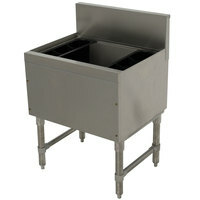 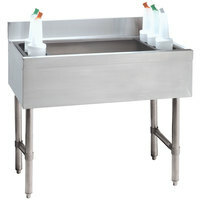 Regency 18" x 24" Underbar Ice Bin with 7 Circuit Post-Mix Cold Plate and Bottle Holders - 77 lb. 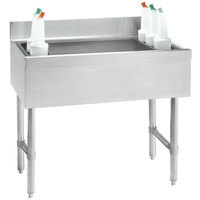 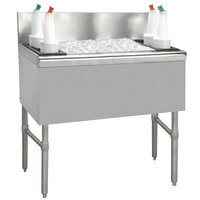 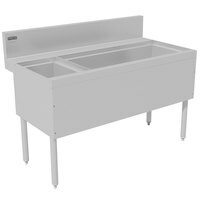 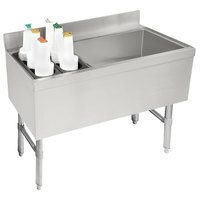 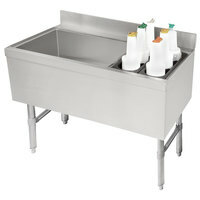 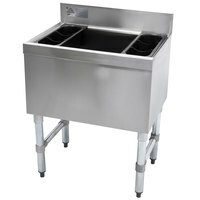 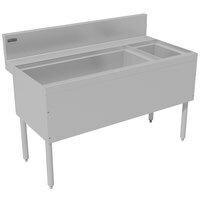 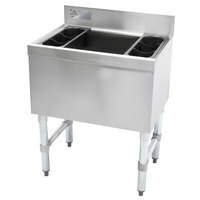 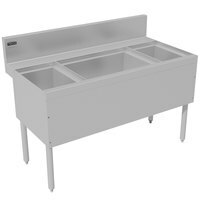 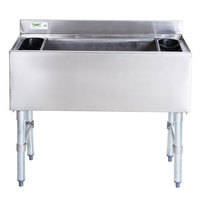 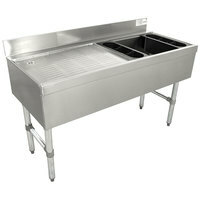 Regency 18" x 36" Underbar Ice Bin with 7 Circuit Post-Mix Cold Plate and Bottle Holders - 119 lb. 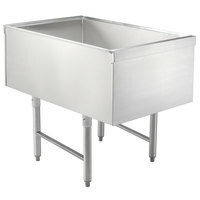 plus Advance Tabco CRI-12-36-10 Stainless Steel Underbar Ice Bin with 10-Circuit Cold Plate - 36" x 21"
Advance Tabco SLI-12-30-10 Stainless Steel Underbar Ice Bin with 10-Circuit Cold Plate - 30" x 18"
Eagle Group B3CT-18-7 Underbar Ice Bin with 7 Circuit Post Mix Cold Plate - 36" x 20"
plus Advance Tabco CRI-12-36-7 Stainless Steel Underbar Ice Bin with 7-Circuit Cold Plate - 36" x 21"
Advance Tabco SLI-12-36-10 Stainless Steel Underbar Ice Bin with 10-Circuit Cold Plate - 36" x 18"
plus Advance Tabco CRI-12-30-10 Stainless Steel Underbar Ice Bin with 10-Circuit Cold Plate - 30" x 21"
Advance Tabco CRI-12-48-10 Stainless Steel Underbar Ice Bin with 10-Circuit Cold Plate - 48" x 21"
Advance Tabco SLI-12-30-7 Stainless Steel Underbar Ice Bin with 7-Circuit Cold Plate - 30" x 18"
plus Advance Tabco D-24-IBL-7 Stainless Steel Drop-In Ice Bin with 7-Circuit Cold Plate - 21" x 18"
Advance Tabco CRI-12-48-7 Stainless Steel Underbar Ice Bin with 7-Circuit Cold Plate - 48" x 21"
Advance Tabco SLI-12-24-7 Stainless Steel Underbar Ice Bin with 7-Circuit Cold Plate - 24" x 18"
Advance Tabco SLI-12-36-7 Stainless Steel Underbar Ice Bin with 7-Circuit Cold Plate - 36" x 18"
plus Advance Tabco CRI-12-30-7 Stainless Steel Underbar Ice Bin with 7-Circuit Cold Plate - 30" x 21"
plus Advance Tabco CRI-16-36-10 Stainless Steel Underbar Ice Bin with 10-Circuit Cold Plate - 36" x 21"
Advance Tabco SLI-12-42-10 Stainless Steel Underbar Ice Bin with 10-Circuit Cold Plate - 42" x 18"
plus Advance Tabco CRI-16-30-10 Stainless Steel Underbar Ice Bin with 10-Circuit Cold Plate - 30" x 21"
Advance Tabco SLI-16-36-7 Stainless Steel Underbar Ice Bin with 7-Circuit Cold Plate - 36" x 18"
plus Advance Tabco D-30-IBL-7 Stainless Steel Drop-In Ice Bin with 7-Circuit Cold Plate - 27" x 18"
plus Advance Tabco CRI-12-42-10 Stainless Steel Underbar Ice Bin with 10-Circuit Cold Plate - 42" x 21"
plus Advance Tabco CRI-12-24-7 Stainless Steel Underbar Ice Bin with 7-Circuit Cold Plate - 24" x 21"
plus Advance Tabco CRI-12-42-7 Stainless Steel Underbar Ice Bin with 7-Circuit Cold Plate - 42" x 21"
Advance Tabco CRCI-48LR-7 Stainless Steel Ice Bin and Storage Rack Combo with 7-Circuit Cold Plate - 48" x 21"
Advance Tabco SLI-16-36-10 Stainless Steel Underbar Ice Bin with 10-Circuit Cold Plate - 36" x 18"
plus Advance Tabco CRPT-2436-7 Stainless Steel Pass-Through Ice Bin with 7-Circuit Cold Plate - 24" x 36"
Advance Tabco SLI-16-30-10 Stainless Steel Underbar Ice Bin with 10-Circuit Cold Plate - 30" x 18"
Advance Tabco SLI-12-48-10 Stainless Steel Underbar Ice Bin with 10-Circuit Cold Plate - 48" x 18"
Advance Tabco SLI-12-48-7 Stainless Steel Underbar Ice Bin with 7-Circuit Cold Plate - 48" x 18"
Advance Tabco SLI-16-24-7 Stainless Steel Underbar Ice Bin with 7-Circuit Cold Plate - 24" x 18"
Advance Tabco SLI-12-42-7 Stainless Steel Underbar Ice Bin with 7-Circuit Cold Plate - 42" x 18"